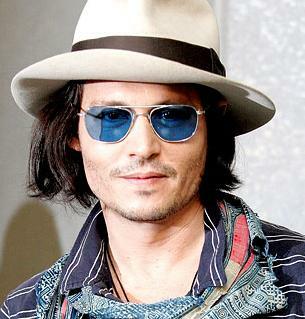 Johnny Depp is taking his new role as the Mad Hatter literally because he has been caught eating his hat. The Hollywood actor portrayed the famous character in director Tim Burton’s new version of Alice in Wonderland, and he has been amusing crewmembers on set with his strange behavior. Tim Burton, who was worked with Johnny Depp on numerous film projects, including Charlie and the Chocolate Factory and Sweeney Todd: The Demon Barber of Fleet Street, says the actor is embracing his latest role. Meanwhile, Johnny Depp is the sexiest man in the world, according to a new survey. The Pirates of the Caribbean actor beat off strong competition to be crowned the fittest male by Britain’s Cosmopolitan magazine. George Clooney came in second place, closely followed by Brokeback Mountain star Jake Gyllenhaal in third. James Bond action man Daniel Craig was fourth in the Sexiest Men poll of readers, and new dad Brad Pitt rounded out the top five.